It has been said that Orthodoxy is the “best kept secret in America.” Let us change that by welcoming those who yearn for the ancient church and its treasury of blessings, hope and faith. With your gifts we are able to expand the faith to those still searching for the “one, holy and apostolic” church. Your generous offerings of Treasure allow our faith community to grow physically and spiritually. Your financial generosity supports our staff, mortgage, and building expenses, as well as our youth and education programs, overseas missionaries, Loveland Community Kitchen, Project Mexico and St. Innocent Orphanage, to name but a few. By making a yearly stewardship pledge, you acknowledge that everything we have is gift from God, and we offer back a portion of those gifts to Him. As important as your financial contributions, your commitments of Time and Talent not only support the parish, but help you grow spiritually as well. As has been said, “To serve is a joy and a privilege, and in serving we grow spiritually. It is not enough for our love of Christ to remain hidden only within our hearts. It must be expressed outwardly as well.” Please seek out ways to offer yourself to the church through our various groups, ministries or volunteer staff positions. 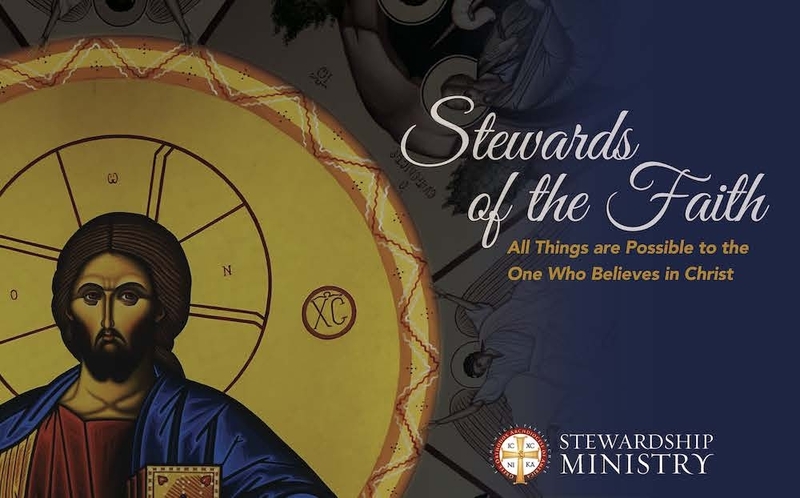 Further information on stewardship is found below or contacts on our various ministries is available on our website.